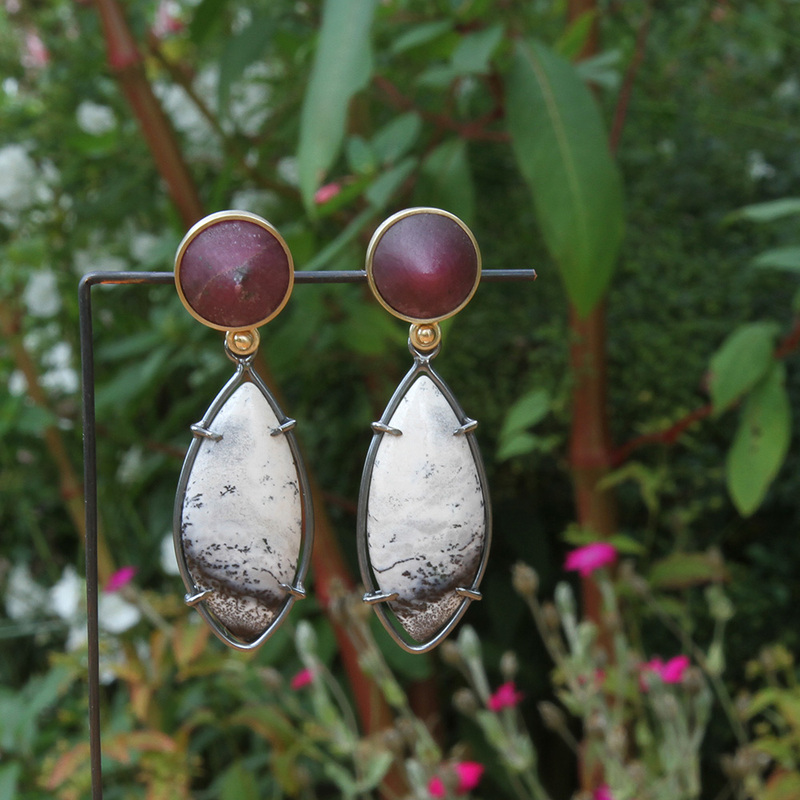 Beautiful long earrings with ruby and white opal. 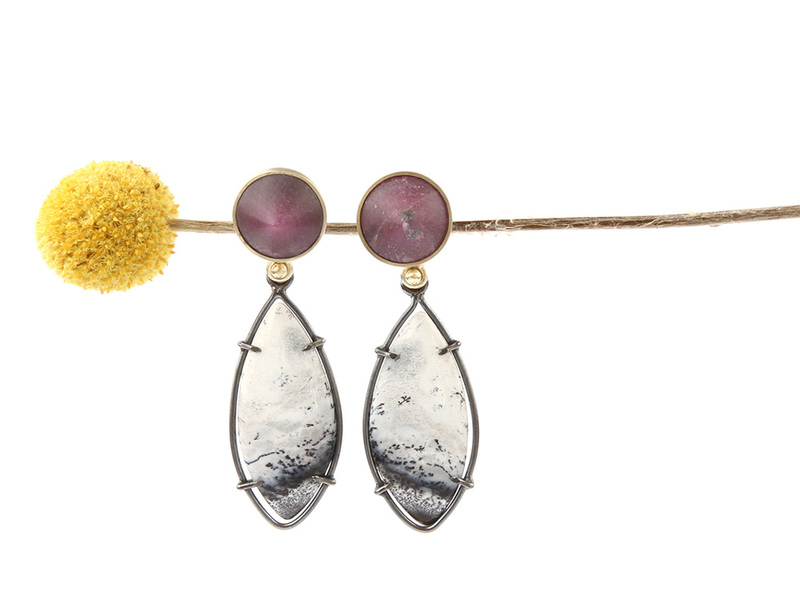 The rubies are set in 14 karat gold, the dendrite opal is held by a small silver rim. The silver has been treated with a dark patina. The length of the earrings is 5 cm. At the widest point the dendrite is opal 16 mm. All our jewelry is hand crafted in our atelier in Wijnjewoude, The Netherlands. The earrings are a unique one of a kind piece. They are provided with our Maker’s Mark. All jewelry is for sale in our atelier in Wijnjewoude, The Netherlands. Or you can also buy it online and we deliver the goods at your doorstep.